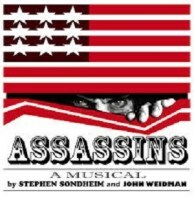 Off-Broadway’s Classic Stage Company has set its 2019-20 season, and it includes the 1990 Sondheim/Weidman musical “Assassins,” about people who have successfully or unsuccessfully tried to assassinate American Presidents. The last Broadway production of the show was scheduled for 2001, but postponed (to 2004) owing to sensitivities after 9/11. No sensitivities this time — unless there’s an attack on a certain someone between now and next April, when “Assassins” returns off-Broadway. “Moon” To Light Up Off-Broadway?